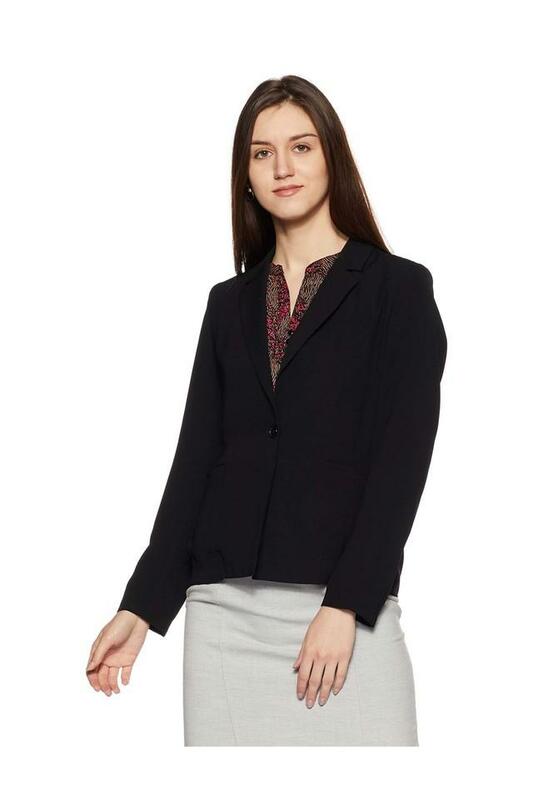 Van Heusen presents this blazer, which will be an excellent choice for all the fashion conscious women of today. It is tailored with fine quality fabric, which ensures easy maintenance, while the solid pattern along with the full sleeves renders it fashionable. It also comes with a notched lapel that adds to its design. 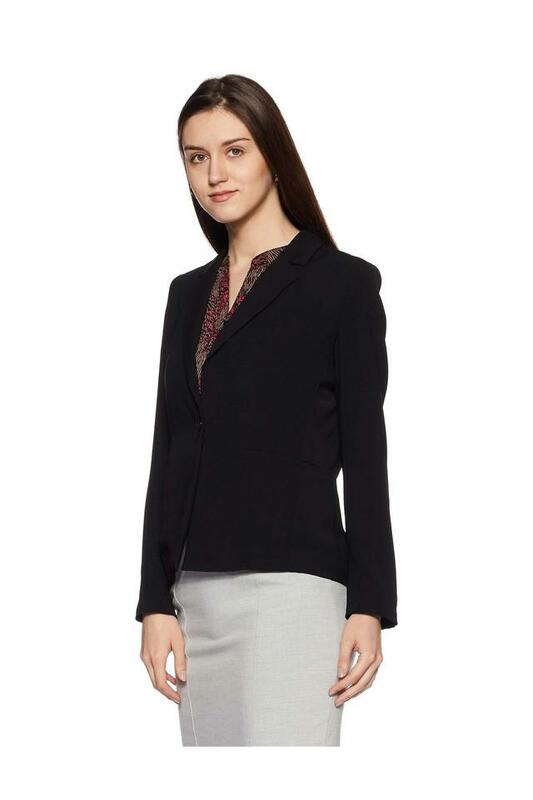 Make a style statement by wearing this classy blazer while you head to work. You can wear it over a top along with a pair of trousers and heeled shoes to complete your look. Image is black colour but description says yellow colour. Need to correct ur details on the website.